'Poste Concret' was a fundraising exhibition for the gallery. 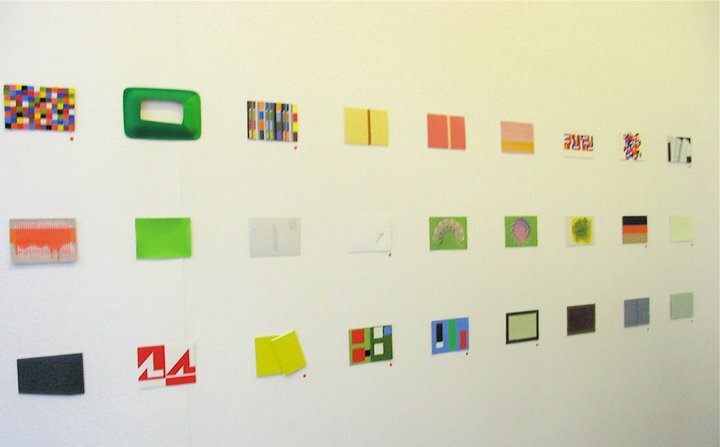 Each artist was invited to post a postcard work and all works were for sale for 50eu. CLICK HERE for a link to the Paris Concret blog. 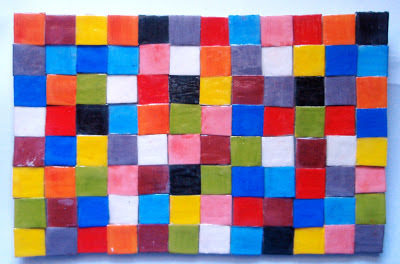 I glued small multi-coloured squares of painted cardboard onto an existing postcard and sealed it with pva glue.